Mumbai: Capital market watchdog Securities and Exchange Board of India, or Sebi, is keeping a close watch on the sharp fall in the share price of India’s largest private sector lender ICICI Bank Ltd.
Rumours about ICICI Bank’s exposure to some troubled global firms has led to intense short-selling of the bank’s stock in the market by institutional investors. Short-selling is a technique used by investors who try to make profit from the falling price of a stock. 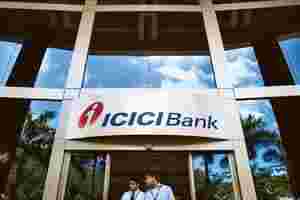 A senior Sebi official, who did not wish to be identified, said ICICI Bank is investigating the matter and is expected to submit a report. “If rumours are found to be spread by a competitor or any other entity with a malicious intent, they can be punished by Sebi under the current rules," he said. Sebi, however, has no plan to ban short-selling in financial stocks, in line with market regulators in the UK and US, the executive said. ICICI Bank’s shares have lost about 60% this year, eroding its market capitalization by Rs82,222 crore. The bank’s shares had reached a record Rs1,465 in mid-January. The private sector lender is largely owned by foreign institutional investors. Foreign funds which hold more than 1% stake in ICICI Bank include Allamanda Investments Pte Ltd, Merrill Lynch Capital Markets Espana, Government of Singapore, CLSA Mauritius Ltd, Growth Funds of America Inc., Dodge and Cox International Stock Fund and FID Funds Mauritius.